Have you guys looked at this house tour on Apartment Therapy yet? This apartment is so me! I really wish I had the energy to snap photos of my apartment and do a comparison. Don’t get me wrong, this apartment, definitely beats mine in size and in natural light (damn you Brooklyn). But, the green and yellow combo…such a LaTonya thing! 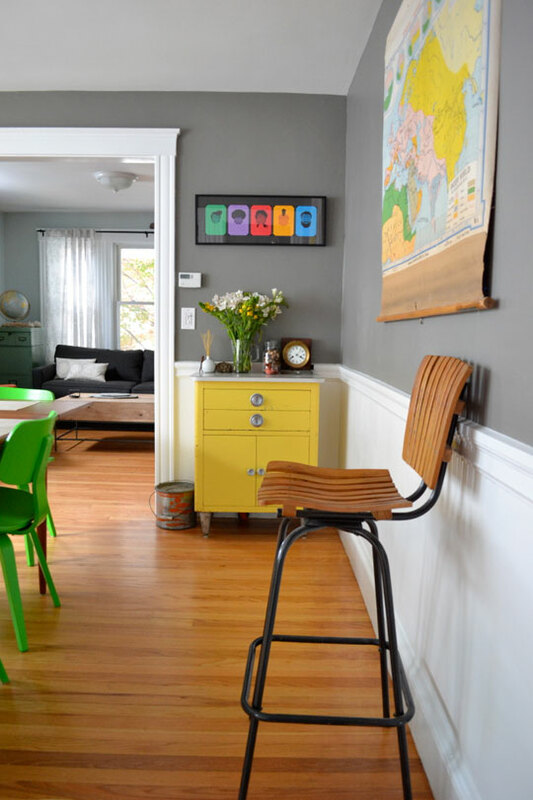 This home is the perfect mix of modern and vintage; that’s what makes me lust for it so. I’ve realized I haven’t talked much about the aforementioned “Old”. The Old in “Old New and the Wee one too” title is everything I bring into my apartment. It could be a table, a milk crate, or a vintage sun dress for River. Whatever it shall be, i’m a big fan. Basically, 80% of my apartment is old. If it’s not, it was pre-loved or on sale at Ikea. I guess I am also a big fan of cheap. 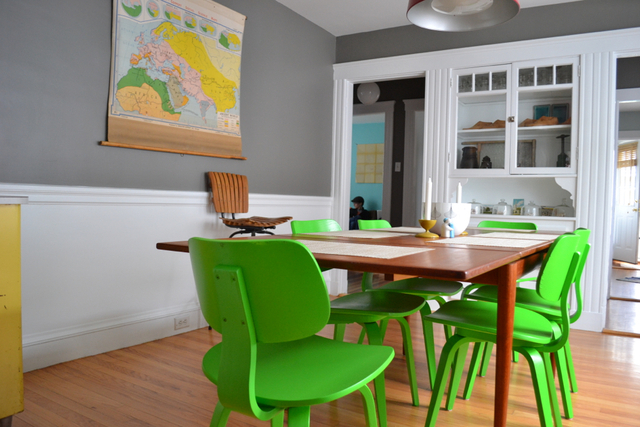 The rest of this cool pad can be seen on Apartment Therapy. Previous post: Over the weekend!